Here you can also leave your comments upon my reviews and recommendations. Review: This is a movie about the aftermath of the 1970 plane crash that killed nearly all of the Marshall University Thundering Herd football team; the rebuilding of the team and the impact these events had on the lives of the individuals and the community. The name, We are Marshals is based on the cheer performed by the team and its fans. Watch this movie for the brilliant performance from Matthew McConaughey (of Sahara fame) who takes up the job of Head Coach after the crash. Matthew is full of witty remarks and anecdotes with the help of which he can convince anyone to do anything and these are the best moments of this movie. It has a fine balance of varied emotions that make it a fun to watch. In short, it is not just another American college sports movie as dozens of others which deserve a pass. This one will inspire you, tickle you and make you say – Wow! Review: It is the story of two men loosely based on a true event. The first one is an old homeless man, played by Samuel L. Jackson, who calls himself the Champ, once third ranked heavyweight boxer who missed a close shot at the top slot and with time was lost in oblivion, even disowned by his son for abandoning him and his mother at a young age. The other is an ‘honest’ sports reporter, played by Josh Harnett (of Lucky Number Slevin fame), struggling in his personal as well as professional life, trying to move out of the shadow of a famous father(a radio announcer) who actually left him when he was a kid. A report on the Champ can bring him fortunes professionally and make him a hero in front of his 6 years old kid too, to whom he keeps lying about his acquaintance with different sports personalities. So we get to see, how the Champ became a looser and how the looser becomes a champ. However, the story doesn’t end there. Indeed it starts from there. It is a beautiful story touching concrete aspects like irresponsible journalism and the abstract ones like father-son relationships and relative measures of faith and honesty. And it definitely showcases one of the best performances by Samuel L. Jackson to add to it. Do watch it to know, does the Champ really gets resurrected in the end? Review: Now this is a movie that I am reviewing and daring to recommend you after having seen just its second half after returning from a class. It is a true story based on the efforts of a female White American teacher (played by Hilary Swank) to change the lives of her troubled teenaged students. She is handed over the class of 'all-at-risk' students with different backgrounds and races. Having missed the first half, I could somehow comprehend the situation thanks to Obama's autobiography which talks of troubled lives of Black teenagers of around that period (1980's-90's). Swank, while dealing with the prejudices of her colleagues and individual problems of her students, totally dedicates herself in transforming these students by introducing them to the real power of reading and writing, in the process even being divorced. It was a great watch on the eve of Teachers' Day; a movie which reminds us how noble this profession is, something communicated recently through Taare Zameen Par back home though in different context. Review: Do you know why the recent shoe throwing incidents became Shoe-gate and Harbhajan calling Symonds ma ki became Monkey-gate. It all started with one of the biggest Presidential scandal in U.S.A. which goes by the name of the Watergate after the name of the building where the unfolding of this scandal got initiated. Frost/Nixon is the story of two characters, Richard Nixon who was the first U.S. President to resign from the office following Watergate and David Frost, the talk show host who compelled him to admit his misdemeanour after three years. The story is that simple. However, the way this unusual part factual - part fiction drama has been executed, keeps you on the edge of your seats (had to use this cliché expression though I watched it lying comfortably on my bed) throughout the movie. Being the one with deep interest in American politics, it was a treat for me. For others too, it will be a nice experience, I believe. Do watch it out just to see, how an interesting successful full length movie can be built out of a series of interviews. Review: Now this is yet another movie, I should have ideally seen much earlier when there was all this buzz around it. Anyway, its better late than never. KKL is a good movie, no doubt about that and it gives a very potent message, again no doubt about that. However, being a non-Muslim and a non-Pakistani, I could not appreciate it to the full. The scene which really amused me was the one where the male protagonist, a Pakistani national, brags about ruling India for 1000 years, when an American classmate fails to recognise Pakistan but lights up on hearing that it neighbours India, the land of Taj Mahal. But soon the American girl, hands him a Nusrat Fateh Ali Khan C.D. making it evident that she is well aware of Pakistan. The clear message that comes out is that Pakistanis should stop competing with India and realise their own positives, to make their presence felt. Just like this review, the movie is too long and could have easily done without some stuff. However, it allows us to see the different shades of Pakistani society through the eyes of Pakistanis themselves and not some fantasising Indian director. In short, it is a must watch for any Indian cinema lover to realise that Pakistani cinema is no less. Review: While watching the movie the only thing I could think of was, 'How the hell, I didn't see this movie earlier'. Its a beautiful movie based on a very unusual concept of a man living his life backwards in time. However, you somehow accept this unpalatable theme as the movie progresses, though with some exceptions. The best part of the movie is the make-up of all the characters and the way they justify that make-up with equally brilliant performance spanning different ages in life. Review: Have you seen Ajay Devgan-Ayesha Takia starrer Sunday? The Hangover has basically the same premises but the execution is much more hilarious. There is not a single scene where you can keep yourself from laughing. Four friends out to Las Vegas to celebrate the bachelor party of one of them. They wake up in the morning clueless about the happenings of the night, to find a tiger in the bathroom, a baby in the cupboard and to top it all, the bridegroom to be is missing. Their search for the answer to "Where is Doug?" brings with it fits of laughters for the audiences. A must watch! Review: A 'Malgudi Days' meets 'Bollywood' plot - a typical Priyadarshan movie set in a beautiful village. Irfan Khan churns another great act as all the other characters play their part to perfection. The movie could have done with lesser item numbers but I am not complaining. Watching Deepika, Priyanka and Kareena sizzle on the screen was a treat indeed. P.S. These are not my All-time favourite movies. These are just spontaneous reactions about the movies I liked since Jul 19, 2009. Some I might like watching again and again and some never again. My all-time favourite Hindi movie is Swades while other favourites from recent past are Taare Zameen Par and Jab We Met. The movie that I've watched the maximum number of times is Maine Pyar Kiya. From Hollywood, I am reminded of Blood Diamond and The Holiday, instantly. And yeah, I love watching Jackie Chan movies from his oldest Chinese ones to the Hi-Fi Hollywood ones (but The Myth was unbearable). Otherwise, I have no perpetual favourites. That is the reason, I created this post to keep a track. 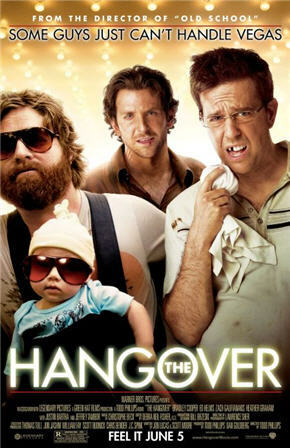 Where did you watch Hangover? I dont think its playing anywhere in Chd. Did you watch an earlier film Dude Where's my Car? Oh that was kinda similar and hilarious too. @chowlaji.. thr were shortcumings bt Irfaan Khan sort of coverd thm up. I liked "Curious case of Benjamin Button" very much and yet to see "The Hangover". Well, Hindi movies are far away from my taste! And please do tell me in private how you watched hangover, if its a torrent don't forget to send me the link! And as for Benjamin Button, I hated it for one single reason, it was not the directors kind of movie, if you know David Fincher (the director of B.B) directed movies like Se7en, Zodiac and Fight Club three movies which will leave you in a daze! And B.B looked like a joke to me, I gave it a six in Imdb and a 6 again on Rottentomatoes! Nice work. It would help me if you can add more english movies in this list. My suggestion is to add few of your favourite movies though it is old. @dhiman.. evn i mainly mentiond irfaan n songs in case of billu.. its definitely not a movie i'll watch for a scnd time, bt 4 a one timer it was gud. about the movies u recomndd, i'v seen zodiac.. frankly i didn't like it. i've heard a lot about fight club, will see it for sure..
@bharathi.. will keep adding as i watch nd like more english movies..
still sum which um rmindd of r The Holiday nd Blood Diamond. @Vipul: I hate Telugu movies too! And how come you know Telugu!. IT's good to know people who know Telugu around, you know!. I hate any movies, anything near to being Indian. Well, about the torrent, I have seen many torrents, but didn't hit the right one, so if you could send me the link, I would be all Happies. And about Zodiac, as I said, it suited my taste, and don't forget to watch Se7en, its gore personified! no, no i don't undrstand any language othr thn hindi, punjabi, simple urdu nd english. 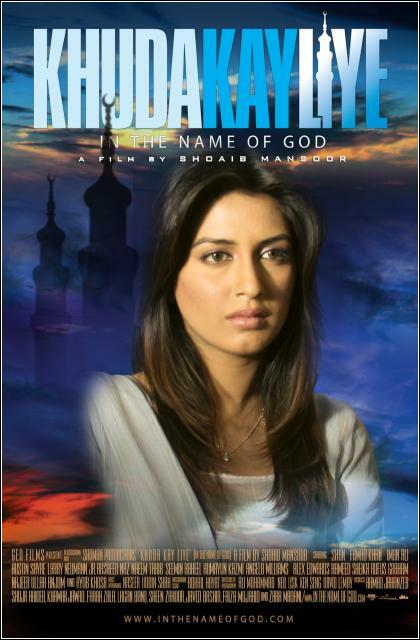 Telugu/Tamil translated versions are often shown on Hindi movie channels. thts how i'v seen thm. othr thn mani ratnam's brilliant wrks, i don't rmmbr if i likd any southies. nd yeah, i dont know about regional cinema, bt in bollywood, thrs an alternative genre which has creatd a space 4 itslf, creating sum vry sensible movies.. its not like Art movies of yesteryears bt very mch commercial.. thrs no doubt thrs a long way b4 they cn reach the level of hollywood movies! lol.. i think i'v brought upon myslf wrath of evry1 by adding billu in d list..
@ Vinay: Mate, you recommended two of my favorite movies, Requiem and Into the wild. @ Vipul: Seriously, if you want to cry for a whole day watch Requiem and for an experience which will certainly make you think of certain things in life see Into the wild! @ vinay.. welcum 2 d blog:) thnx 4 appreciating..
Vipul I would advice you against watching 'Requiem for a dream' - you clearly have different goals and such things will only deviate you from them. You are finally coping the study pressure with marijuana and your body has also started responding to Morphine. I would suggest you stick to the plan and avoid any such Movies. i undrstand ur point buddy.. nd hey wn r u gtting me my nxt dose of marijuana frm ur farm.. u promisd u'll sponsor it! Hangover had me rolling off the seat. Am not much of a movie buff! Have watched only Billu from your Review List!! It was a painful time pass!! And would like to watch The Curious Case of Benjamin Button. ok ok gotcha.. :) I will ask a nephew to help me with THAT medium. Do watch dude where my car - its funny. Now that I have recco'd it, I want to see it again too. 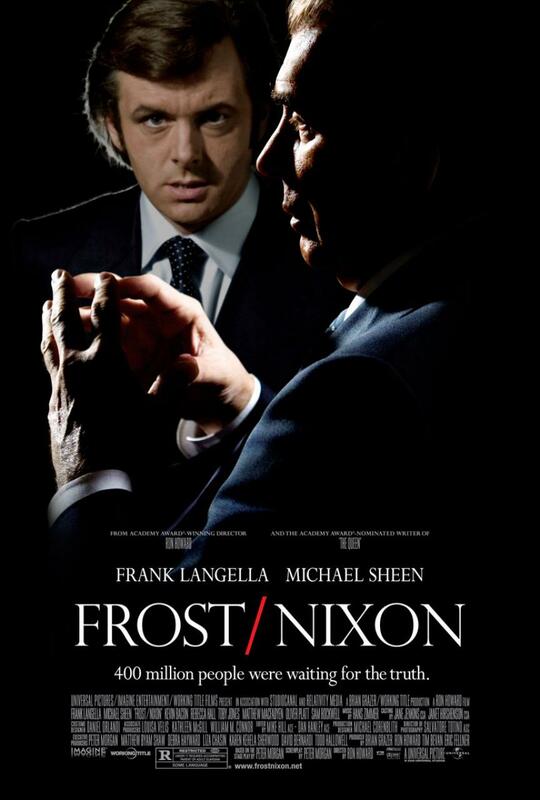 I was about to watch a Frost/Nixon a few months ago when my close friend raised an alarm saying that I would die watching the movie, but now maybe I should watch it! Btw I watched Hangover and it rocked! It's the best movie of 2009 I guess (forgetting Up, me not being a huge anime fan!). I was literally on the floor for half of the time! yup u may try it as its diffrnt bt u'll b able 2 njoy it 2 d full only if u hav knowledge of american politics nd politicians..